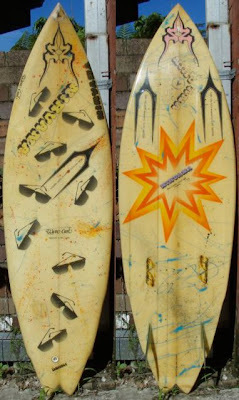 : Board Collector: Nose Channels. Nostrils perhaps...? 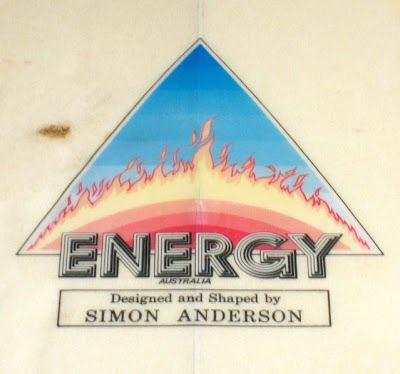 Craig from Gisborne, NZ sent me these pics of his late period Energy thruster designed and shaped by Simon Anderson. It features a marvelous experimental innovation now common on many long boards, the nose channel. I've only seen this once before, on a Glen Winton shaped twin fin, except the Winton board the channel goes all the way from nose to tail. 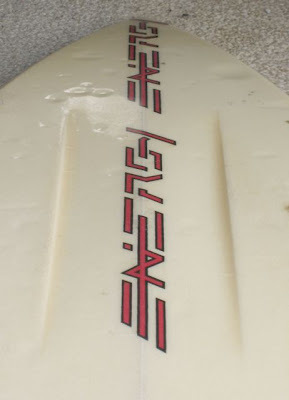 The other unique feature of Craig's board is the crooked tail fin, designed for turning left perhaps? I wonder what Simon called his nose channel invention, maybe the 'Nostril'. I'll be sure to ask him.